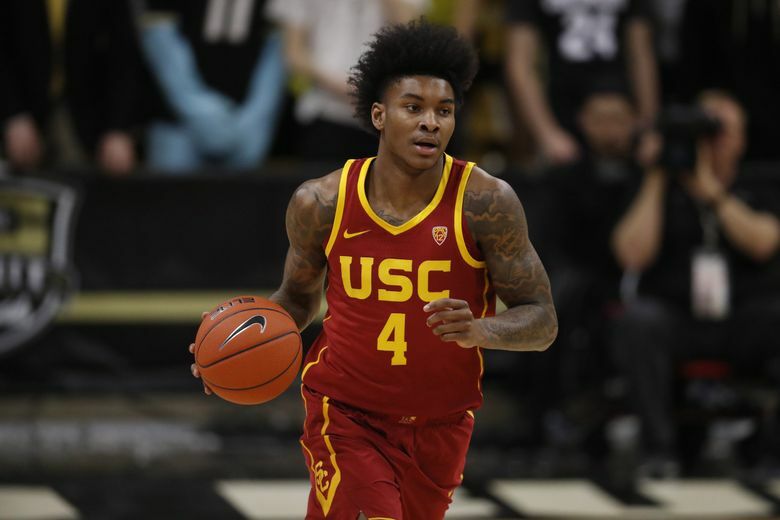 After one season of averaging 9.5 points per game for the USC Trojans, Kevin Porter Jr. said he has hired an agent and is entering the NBA draft. “Starting off freshman year I really wasn’t focused on the NBA draft, but now that the season is over and I see the opportunity that I have, I just want to pursue it for my family, my friends and everyone that has been supporting me,” the former Rainier Beach star told ESPN. Porter Jr. will sign with Roc Nation, he added on Twitter. A five-star prospect and the top-ranked player in Washington state in the 2018 recruiting class, Porter Jr. didn’t strongly consider the University of Washington, committing early on to USC and seeing his stock rise during his senior season with the Vikings. But after arriving in Los Angeles, with plenty of excitement about USC’s prospects this year, Porter had an up-and-down freshman season. Hampered by a two-game suspension and a thigh injury, he played in 21 of the Trojans’ 33 games, making just four starts. He averaged 9.5 points, 4.0 rebounds and 1.4 assists in 22.1 minutes per game. ESPN ranked him the No. 40 overall recruit in 2018. He’s now No. 14 on its NBA draft big board. NBADraft.net has Porter going 29th overall to the San Antonio Spurs in its latest mock draft.